Despite the hype, the WiFi technology has a number of practical limitations. In my last blog, I provided a high-level technical overview of how multi-user multi-in multi-out (MU-MIMO) technology works. 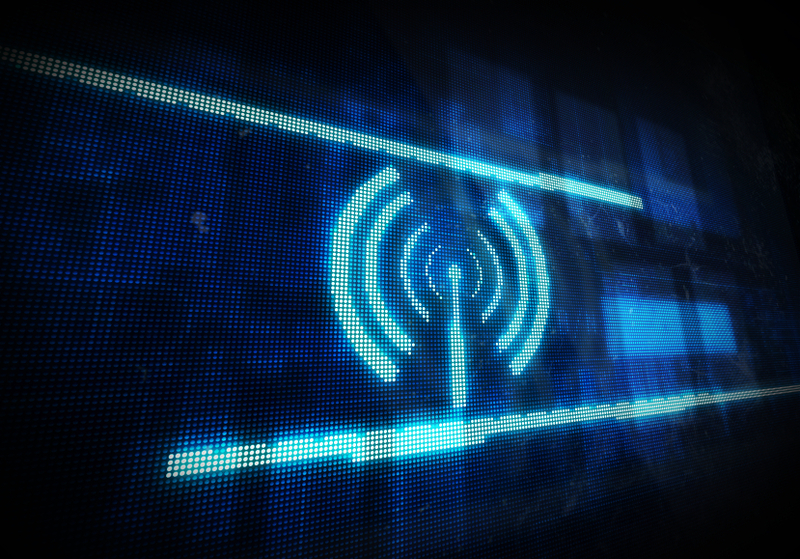 Introduced in 802.11ac Wave 2, MU-MIMO promises greater client density for our wireless networks, but there's been a lot of hype in the industry about what MU-MIMO can do and in what situations it is, or is not, appropriate. In this post, I'll discuss limitations with the WiFi technology and where it's most useful. As a refresher, MU-MIMO utilizes transmit beamforming (TxBF) to know the relative position of all of the associated client devices and selects a group of clients to transmit to simultaneously. While this works great in theory, there are several practical limitations that hamper the technology's effectiveness. MU-MIMO is not backwards-compatible. The client devices in a transmission group must all support the 802.11 TxBF feedback mechanisms in order for the AP to know the location of each client device. While TxBF was introduced in 802.11n, most 802.11n and 802.11ac Wave 1 client devices did not support the feedback mechanism. Only very new 802.11ac client devices have the hardware and drivers that actually enable this TxBF feedback. While the proportion of client devices that support TxBF will increase over time as users upgrade their devices, the benefits of MU-MIMO can only be achieved if both the access points and the client devices support it. MU-MIMO adds a fair amount of overhead. The AP must send out sounding frames and receive responses from all compatible client devices, which adds additional overhead to the channel, and thus diminishes the benefit of transmitting to multiple client devices simultaneously. It also needs to keep doing this repeatedly to account for the fact that mobile client devices can move relative to the access point over time. In the original 802.11n specification, TxBF sounding frames were supposed to be sent 40 times per second (i.e., once every 25 millisecond), though there is no real need to be updating so quickly in practice. Furthermore, the computations required to determine the relative position of each client device and pick appropriate transmission groups is non-trivial, requiring significant processing and memory resources. MU-MIMO raises the noise floor. While transmit beamforming adds 3 dB to the signal strength for each phased antenna, the transmit power is effectively reduced by 3 dB for each parallel client, since the power is shared amongst all of the parallel streams. Furthermore, while the intended signal for one client is minimized for other clients in the group, nothing in RF transmissions is ever perfect, so there is bound to be some amount of undesired signal at each client that is actually intended for other clients. Add to this the fact that there may be signal from neighboring APs on the same or overlapping channels performing MU-MIMO, and the overall noise floor in the environment is likely to increase. This will serve to ultimately lower achievable transmission data rates to be more tolerant of noise and errors, further degrading the potential benefits of MU-MIMO in multi-AP environments. Client devices in a transmission group must be spatially separated from each other. Essentially, MU-MIMO is adding together the directionalized antenna pattern for each client device. Each client device in a transmission group must therefore be physically far apart from each other to make sure that the signal intended for the first client is both maximized at the position of the first client and minimized at the location of all other clients. Even when using four antennas on the AP, the level of directionality is fairly coarse, so two clients that are close to each other would not be able to have their signals appropriately separated. The AP must have data to send to each client device in a group. A seemingly obvious statement, but one with large implications. Generically, this means that the groups of client devices are not pre-established, but need to be determined dynamically in “real time,” which adds to the overhead. The transmission time for each MU-MIMO stream must be the “same.” This is more of a pragmatic requirement than a technical one. Each spatial stream to each client can be transmitted at its own particular data rate, and each stream may have different amounts of data. The optimal utilization of air time to maximize throughput performance of the access point means that the transmission times of the spatial streams for each parallel client should be identical or nearly so. This will necessitate the need for similar amounts of data transmitted at similar data rates. The benefit of MU-MIMO is that the AP can speak to multiple clients at once, but that naturally means that the AP wants to both start and finish transmissions to multiple clients at the same time for maximum efficiency. If the data transmission to one client takes substantively longer than to the other clients in the group, much of the airtime utilization efficiency benefits of MU-MIMO are lost. Accordingly, where MU-MIMO is likely to be most useful is in very high capacity environments such as classrooms, conference centers, and stadiums/arenas. In these environments, the devices on the network are fairly homogenous and thus their capabilities are similar. Moreover, the number of potential transmission group combinations are high, and the types and amounts of data being transmitted to each client device are also homogenous (i.e., multiple users are using their devices in similar ways). There will be much less of a practical gain from MU-MIMO in low to moderate user density environments, such as SMBs, homes, apartments, and hotel rooms. As with all WiFi design, it's important to see through the marketing hype from equipment manufacturers and service providers, and focus on the requirements of the network. That means knowing how many and what kind of devices are going to be using the network. Make the investment in MU-MIMO access points only where they are likely to have the biggest impact.